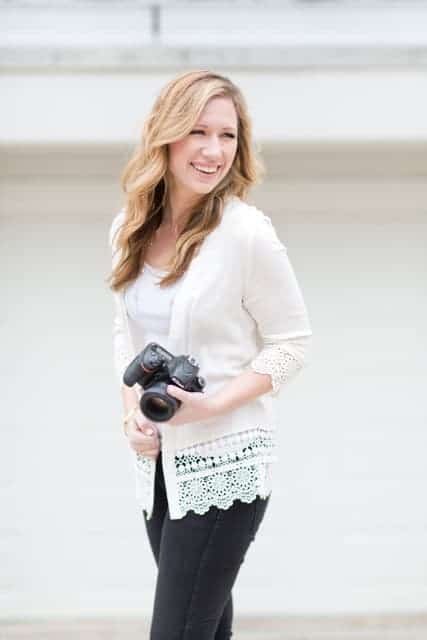 Today we have an amazing interview with Elizabeth who is the founder of Elizabeth Nord Photography. In the interview, she shared her top tips and resources on how to become a successful photographer and work from anywhere in the world. Elizabeth has been a wedding photographer for over 6 years and she absolutely loves telling love stories through images. On her blog, she shares awesome photography tips. 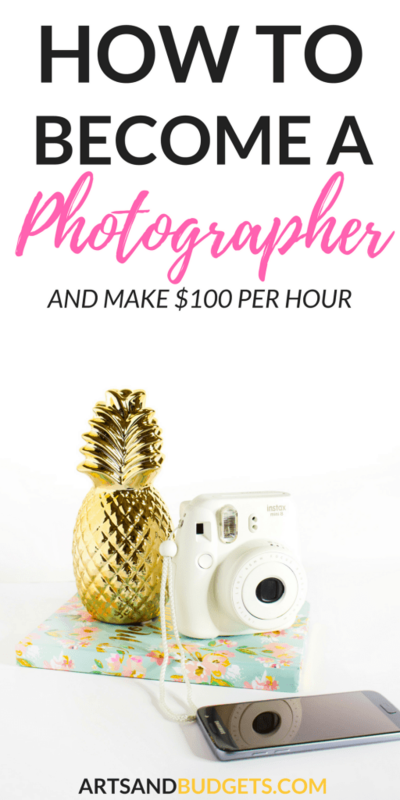 This interview will cover how to become a photographer and make a full -time income with it. 1. Please give us a little background about yourself? How did you get started in the photography business? What type of photography do you currently do? .I’m originally a small town country girl who was raised in West Tennessee who now lives in smack dab in the middle of downtown Chicago. In 2009, I was married to my high school sweetheart, Vincent. I began my photography business in 2011 as I was earning my bachelors degree in economics and photography certificate at the University of Tennessee. Since starting my business, I’ve moved 3 different times (from TN, to FL, and IL) and when I moved to Chicago in 2014, I became a full-time wedding photographer. Currently, I specialize in weddings and lifestyle photography, and I love it more and more each day! 2. What does a normal (at the wedding) day look like for a wedding photographer? Typically, I arrive anywhere between 30-45 minutes ahead of when I’m supposed to start photographing to scout out the hotel/venue/home for the best photo locations and lighting. I also use this time to check in with my second photographer, discuss the timeline again, sync cameras, and introduce him/her to the couple before I begin photographing. We then photograph the couple getting ready, the first look (if they’re having one), wedding party, and their couple portraits. After that, the ceremony, family photos, cocktail hour, and reception are captured. I’m typically at the reception for 2.5-3 hours and then my coverage ends. A typical day TRULY lasts anywhere between 9-13 hours from start to finish. 3. What type of skill(s) does an individual need if they are interested in becoming a photographer? Starting out tt the very least, I would say you definitely need to have some wedding experience under your belt. I would not recommend photographing a wedding on your own without first studying under another photographer if you can. You also need to have a good knowledge about how to work your camera and, eventually, shoot with flash. You need to know settings and techniques that will help you get people in focus under lots of different circumstances like multi-level family photos, walking down the aisle, dancing, and so on. There’s a lot that goes into being a photographer (especially when you start photographing weddings) because while you can prepare for most things, there’s always something unexpected to occur and you need to know how to approach those situations with professionalism and confidence. 4. 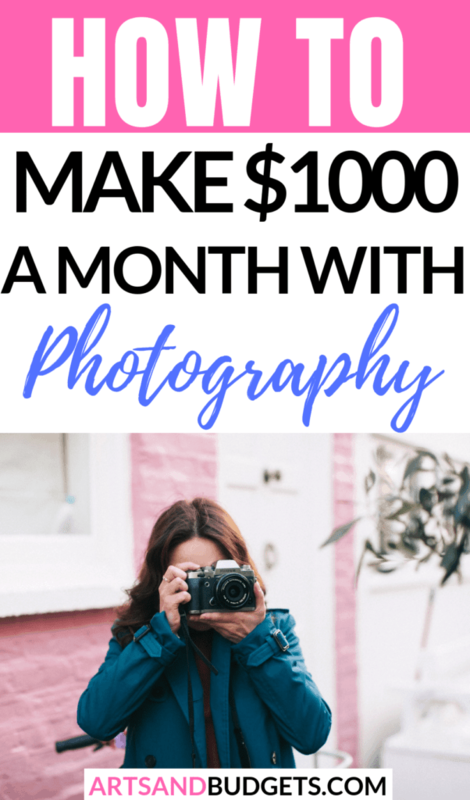 How much can a person just starting out as a photographer expect to make per month? How much can they expect to make after one full-year? Honestly, every single one of us is different because it truly depends on how you decide to run your business and what your skill level is going into year one. If you’re just starting out and you’ve never been hired as a photographer, you might not make much at all for the first year. This is especially if you’re continually purchasing and upgrading equipment and you plan not to go into debt (i.e. loan or credit cards that you do not plan to pay off right away). For many of us just starting out, we simply had a dream and no experience. So we did lots of free or heavily discounted photo sessions just to get our name out there. Once you get your name out there though, you can start raising your prices until you gain more experience, invest in your education, and the demand for your photography is higher. Keep in mind, it could take a few years to make a solid living wage on your photography business alone. 5. What do you like best about being a photographer? The best thing about being a photographer is definitely the relationships that I gain from being a business owner in general. The vendor’s relationships that I have gained from connecting and working together have been incredible. I’ve made some of my best friends through networking events and from collaborating on projects that inspire us. I equally love the client relationships that I have built as well. I love becoming not only someone’s photographer but their friend. I’m someone that they trust with their most precious memories and that’s a very personal thing! It’s no wonder that we end up friends at the end of the day! 6. How can individuals find jobs as a photographer? Are there any apps they can use to find jobs online? It’s actually pretty easy to become a photographer. If you have a camera, a passion for photography, and the will to learn, you can become a photographer! As for job opportunities to gain experience and skill, I would ask other photographers that you know or follow on social media if you can assist or be their second photographer at sessions or on a wedding day. You can also look up or ask photographers that you admire if they offer mentoring sessions or workshops. Don’t be afraid to invest in your education! This is extremely valuable and you’ll save yourself the heartache of trying to figure all this out on your own. You can take classes at some universities, become an intern for a photography studio, read tons of valuable information from blogs online, and even search for your questions on youtube! The internet is an amazing thing. I would also check out free resources and classes online for photography and business. My personal favorite when I started out waswww.creativelive.com! They’re free courses that you can either catch live or you can get a limited replay of. If you aren’t able to catch either one and still want to watch, you can pay a small fee to buy the course and have it on hand anytime you want! The opportunities to learn really are endless. 7. How much does it cost to start a photography career/business and how much does it cost to maintain it on a monthly basis? Cost wise, it depends on where you’re located and what kind of gear you want to invest in up front. You’re going to want to factor in your start-up costs like obtaining a business license, getting a Federal ID number, registering with your county/city/state as well as things like your camera body, lenses, computers, editing programs, website domain, website host, email server, and more. This is different for everyone. 8. What has been the best platform to promote your photography business and why? Social media and referrals have always been the best way to promote my photography business, and the best thing about it is it’s free! Social media is extremely powerful because you can reach people that you might not normally encounter, make relationships with people online, and show your work regularly to your audience. Referrals will always be amazing for your business. Think about it.. whenever you ask a friend for their recommendation on a hair stylist, for instance, you will more than likely check out that hair stylist, right? Getting your hair cut by a new person can be really scary because you don’t want to walk around with short red hair when all you wanted was a trim with blonde highlights. The same thing goes for photography. These are incredibly special moments that someone needs captured, so if their friend trusts and loves you…they probably will too. Even if they don’t hire you, they might mention your name to THEIR friends! 9. What are your go-to resources for a beginner photographer? Like I said above, I highly recommend www.creativelive.com, searching on youtube for your questions, and following people that inspire you online. On Instagram, I really love learning from people like Jasmine Star, Katelyn James, Justin & Mary, and Jenna Kutcher just to name a few. There are tons of inspiring photographers and educators out there! For reviews on equipment to buy, I always like reading www.kenrockwell.com and his in-depth tech reviews. 10. What advice would you give someone who is just starting out? Be prepared to be overwhelmed at first, but you’ve got this! We’ve all been there. Get connected with local networking groups like Tuesdays Together (part of the Rising Tide Society) who believe in community over competition. There you’ll find business owners of all kinds who you can connect and make friends with, learn from, and not feel so lonely within your entrepreneurial journey. I also suggest meeting other photographers for coffee or asking how you might could help them! I personally love meeting other photographers! Plus, if they’re willing to help me out in some way?? You definitely have my attention! Help someone and they’ll be more likely to help you back. 11. Any additional tips you would like to give someone interested in becoming a photographer? If you’re passionate about it, don’t quit. Don’t let the stress of not knowing what you’re doing at first or the online comparison game get to your head. You were made to do this. It is absolutely possible to be a photographer and make a sustainable living. With a little heart and a whole lot of hard work and dedication, you will be successful! Those are quite useful tips. I’ve been looking for an article on the Web about the most efficient way to become a professional photographer only to get lost in an ocean of fake-pro photography tips. This one’s different. Thank you for posting this. Finally, I found something I could spend quality time reading.